Come learn to serve your community. Become a Climate Justice Ambassador. At this free day-long workshop, students (ages 8-14 years old) join an international group of 25,000+ young people worldwide founded by a 9-year-old boy in Germany. The big day culminates in a moving climate presentation for families and the public delivered by the newest Climate Justice Ambassadors! Watch this amazing video Introducing Plant-For-The-Planet. Now the official Tree-Counters for the United Nations Tree campaign, Plant-For-The-Planet is organized by children who work for a better future on earth. Their ambitious plan will change climate change for good. 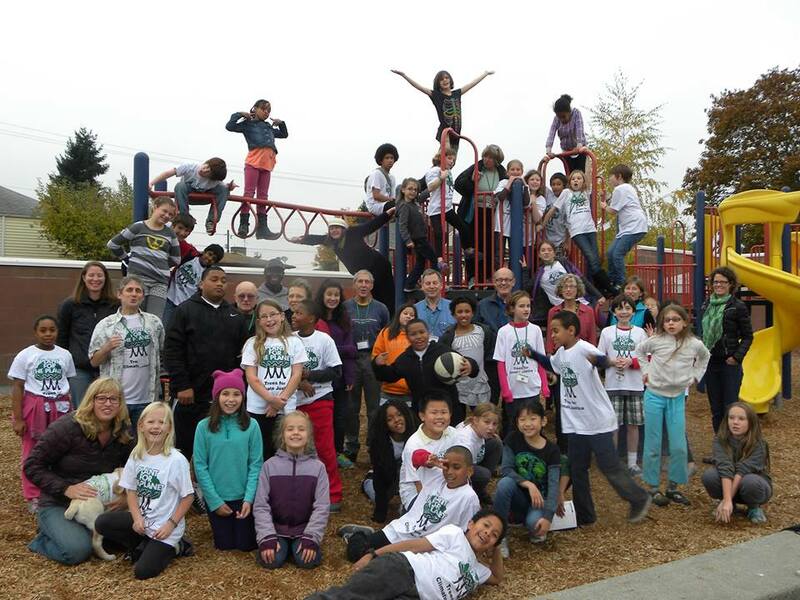 We held 3 Academies in Seattle in less than one year for 190 students, and Wow, is it Fun! 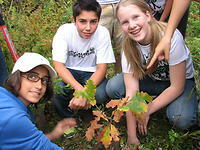 At a Plant-for-the-Planet Academy children learn the causes and effects of the climate crisis and how we can solve it. Children teach children to act as Climate Justice Ambassadors, who plant trees, talk to leaders, conserve energy and inspire people to act now for their future. “Climate Justice” means all people, wealthy or poor, can only pollute the same amount; that’s fair. Wealthy people should pay to reforest the tropics, so poor countries can drink clean water, get food, and go to school without cutting down rainforests for money. Rainforests store carbon for all of us. We need to keep them growing! Ambassadors get a free Plant-for-the-Planet T-shirt and the free book “Tree by Tree” so they can read more about planting our future. Ambassadors pledge to take one climate action per month, whether it’s planting, giving a talk at school, writing a letter, signing a petition, or attending a monthly Leadership Corps meeting where students inspire one another to lead creative climate actions that make a real difference. Plant-For-The-Planet and the Academy is always free for all children thanks to our Volunteers! Reserve your place today! since space is limited. If you are like me — too old to be an Ambassador anymore — you can volunteer to help guide students as we explore this fascinating and important material. Please enroll to reserve your place as a student or to help out — organizing, leading, donating supplies or snacks. Sign up HERE! Thanks to Neighborhood House for free use of a beautiful meeting room in a green building with a park outside! Thanks to Seattle Parks Dept for planting expertise and plants. Thanks to CoolMom, Healthy People Healthy Planet, Seattle Environmental Activists for handling snacks, supplies, publicity and encouragement for our Ambassadors. The Children of the World will inherit the Earth. Let’s help them gain their understanding, and their voice, on how to mitigate and reverse our Climate Crisis. Plant-for-the-Planet Academy March 1st: I’m IN!